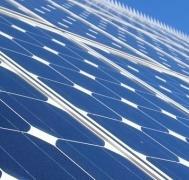 Individuals who want to install photovoltaic panels with which to generate electricity can benefit from a new financing program - the Ministry of Environment. And the novelty of the program is that panel owners will be able to deliver the surplus to the national grid by redeeming the investment. The financing guide has already been published in the Official Gazette and stipulates that any natural person can receive up to 20,000 lei to install photovoltaic panels for his own home. The Ministry finances the purchase of all elements of a photovoltaic system from the panels to the installation project. The program will have three stages. The first part of the calendar provides for the registration of operators who can install such panels. President of the Environment Fund, Cornel Brezuică, the coordinator of the program, says that this stage will start in January. Cornel Brezuică: All these investments will be made through these installers, through these economic operators who have the right to operate on the network, to do electricity works. The condition is to have a B-type license from ANRE. We will validate everyone who has the interest to work on the project. They will sign a contract with the Environmental Fund and from that time these plumbers can mount for all individuals who want to access the project. The second step will be in March, when subscriptions of interested individuals begin to install photovoltaic panels. They will file their file once they have chosen one of the plumbers on the list approved by the Environment Fund. After the validation of the files will follow the final stage, ie installation of the system. The novelty of this program not only concerns the financing of the photovoltaic plant but also the fact that the surplus energy produced by individuals can be delivered directly to the national energy system. In other words, what you do not consume can be delivered to the national system and get money for it. 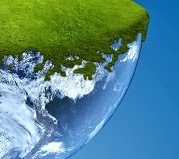 From December 19, 2018, individuals can sign up for The Rabbit for Appliances program in the computer software available on the site The Environment Fund Administration - www.afm.ro. with energy efficiency A +++. After publishing the list of approved individuals on the AFM website, the applicants will be presented to one of the validated traders where they will buy the desired equipment. Memorandum of Understanding aimed at increasing the quality of vocational education and training. At the EU-Ukraine Association Council meeting held today in Brussels, the European Investment Bank (EIB) agreed with the Ukrainian Government on a series of new financing operations. The EU bank will lend EUR 50m to finance transport infrastructure improvements throughout the country. Ukraine and the EIB also signed a EUR 10m grant agreement under the multi-donor E5P fund that supports municipal investments in energy-efficiency and environmental projects in the Eastern Partnership countries. The grant will help finance the implementation of a Ukraine Higher Education Project, which the EIB is already supporting. Furthermore, the EIB concluded a Memorandum of Understanding with the Ukrainian Ministry of Education and Science for the preparation of a project to create several centres of excellence in the country. EIB Vice-President Vazil Hudák commented: “Together with other EU institutions, the EIB is committed to improve the everyday life of Ukraine’s citizens. The projects signed today will result in faster and safer transport infrastructure, better academic facilities and more resources for higher education programmes, all of which will strengthen the country’s competitiveness”. The EUR 50m EIB loan to improve connectivity in Ukraine and in the Eastern Neighbourhood provides support for transport projects expected to have significant positive local impacts. 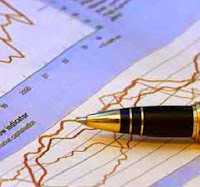 Road safety, connectivity, and traffic management and control projects are under consideration, with a view to contributing to the economic development of Ukraine. The project’s first phase will focus on the development of intelligent transport system on national roads, the construction of a missing section of the northern by-pass around the city of Ternopil forming part of the extended TEN-T (Trans-European Transport Networks), and a number of multi-level railway crossings. Furthermore, the project will support the development of future investment in railway connections between the European Union and Ukraine. The project is backed by a EUR 14m EU grant for the Ternopil bypass investment and a EUR 1.85m EU grant for project preparation and implementation. Both grants are being provided under the Neighbourhood Investment Platform (NIP). The EUR 10m E5P grant will be instrumental in implementing the Ukraine Higher Education Project that has already received a EUR 120m loan from the EIB and EUR 30m from Nordic Environment Finance Corporation (NEFCO). The grant will be used to finance, in particular, seven universities in the cities of Chernihiv, Kharkiv, Kyiv, Lviv, Poltava, Sumy and Vinnitsa in order to significantly reduce the energy consumption of their buildings with positive environmental impacts. The project is also supported by a EUR 3m EU grant from the Neighbourhood Investment Facility (NIF) to assist implementation arrangements. 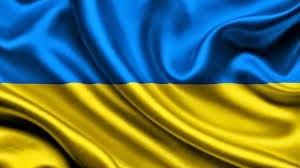 The Ukraine Vocational Education and Training Project is expected to improve the quality of vocational education and training in Ukraine. The project promoter is the Ministry of Education and Science (MOES). With the signature of the Memorandum of Understanding, EIB and MOES have agreed to prepare a project that would focus on infrastructure investments to create several centres of excellence throughout Ukraine. The format and content will be developed in line with the reform agenda being prepared and implemented by the Government of Ukraine in this sector. An EIB loan to support the project is envisaged, subject to the approval of the Bank’s governing bodies. The European Investment Bank (EIB) is lending EUR 50 million – the first tranche of an approved loan of EUR 150 million – to TRANSGAZ, Romania’s public gas transmission company, to finance a new pipeline. This transaction is backed by the European Fund for Strategic Investments (EFSI), the financial pillar of the Investment Plan for Europe, or "Juncker Plan". The new pipeline will link Romania’s natural gas resources on the Black Sea shore with both the national gas transmission network and the BRUA gas transmission corridor (linking Bulgaria, Romania, Hungary and Austria), thus connecting the transmission systems of South-East Europe and Central and Western Europe. This connection to the European gas transmission grid will allow gas exports to neighboring European countries. EIB Vice President Andrew McDowell commented: “This project, supported by the Juncker Plan, is significant for to multiple reasons: it will facilitate the utilisation of newly identified natural gas resources in the Black Sea, located in the EU. It strengthens links with the Western European gas transmission network and hence, contributes to the diversification of gas supplies. Finally, it will strengthen the competitiveness in the gas sector with positive impacts on EU citizens and economy”. European Vice-President in The Commission’s Vice-President in charge of the Energy Union, Maroš Šefčovič, said: "I welcome this new project supported by the Investment Plan for Europe, as it will help achieve greater energy security and diversification in the region, already characterised by severe vulnerability to its gas supplies. It is yet another brick in the construction of our Energy Union, making energy in the EU more secure, affordable and sustainable. This is also great news for consumers, who will eventually see their gas bills decrease." Sabella, a pioneering tidal and ocean stream turbine developer, has partnered with QOS Energy to improve the performance monitoring of its ground-breaking Ushant tidal energy project. 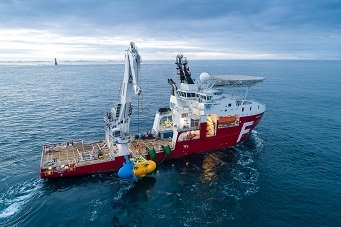 The first 1MW tidal turbine of the plant, immersed 55 metres under water off the west coast of France, is equipped with more than 100 sensors gathering data every 5 minutes. It now uses QOS Energy’s powerful data intelligence platform to identify, assess and anticipate potential failures. The state-owned company Hidroelectrica put into operation on December 13, 2018, the Hydro-aggregate II from the Bereşti Hydroelectric Power Plant, Bacau County, after modernization works. "Hidroelectrica shows in recent years that it is the new champion of the energy system. He is well run and has tremendous financial performance. It is a company that has the capacity to engage deeply in renewing the system and these are our expectations of it. We now have an energy strategy, so we have created the framework for development, the main lines of energy policy. We know where we are and what we want in the next few years: we want renewal and refurbishment for new capabilities, we want new projects to be implemented." The investment, amounting to 18.2 million lei (3.9 million euros), was carried out with SSH Hidroserv and contributes to the extension of the operation period of the plant. The Bereşti Hydroelectric Power Plant is a dam station, located along the Siret River. The Bereşti power plant has an annual average energy output of 110 GWh. The seventh edition of the Cities of Tomorrow, which will be held on March 26, 2019 at JW Marriott Bucharest Grand Hotel, will be dedicated to both the business community and civil society and the importance of its involvement in the sustainable development of regions and cities. Dialogue between public authorities and the business environment is important, but the involvement of civil society is at least as necessary. For this reason, the key element for sustainable development is the TRIALOGUE. Event Structure: National and international speakers will talk about their successful projects and methodologies. The event will host 8 roundtables and the already well-known market where sponsors will have the opportunity to present their solutions and technologies for modernizing and improving the city and regions, together with representatives of local authorities (Regional Development Agencies, County Councils, City Halls) and communities, who will come forward to present their concrete projects they want and where they seek the support of private actors. Cities of Tomorrow # 7 will also host a pitching contest! 9 participants, 3 categories: public administration, civil society and the business environment. 1 jury: from representatives of central and local authority, architect / town planner, NGO, journalist, international expert. The focus will be on urban development projects, examples of good practices and solutions for intelligent cities in Romania, to be presented as convincingly as possible over a 5 minute pitch. It will be judged by the jury, and the winners of each category will receive prizes to encourage the future development of their projects. WOOLF is proud to announce that it has been named as CES® 2019 Innovation Awards Honoree in the segment Wearable Technologies. The announcement was made during CES Unveiled New York, an invite-only tech event bringing together top media, exhibitors and industry leaders for a sneak peek of the products and trends expected at CES 2019, which will run January 8-11, 2019 in Las Vegas, NV. “WOOLF/Moto is a project born from our passion for the world of two wheels. We have dedicated a lot of energy in order to bring it to light in a very short time. This prestigious achievement rewards our diligence and makes us very proud”. Federico Tognetti – Co Founder & CEO. 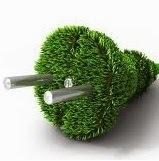 Ukrainian authorities in cooperation with the State Department for Energy Efficiency of Ukraine, help the population to improve housing by allocating additional funds to local energy co-financing programs. For example, the budget for the Zhytomyr region has increased from 1 million UAH (almost 32,000 euros) to 5 million UAH (alamost 159,000 euros). 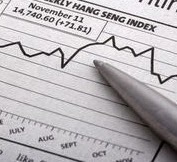 At present, the possibility of allocating additional funds is being considered. With 2.8 million UAH (almost 89,000 euros) was financed the program in the city of Kherson The total budget of the program until 2018 is 3.1 million UAH (almost 99,000 euros). An additional allocation of 1.8 million UAH (almost 57000 euros) was allocated in addition to the local program in the city of Berdyansk. The demand for the program was so large that already the total amount of funds reached 2.5 million UAH (almost 79000 euros). - increasing the well-being of families. In total, 163 local energy efficiency programs with a total budget of about 150 million UAH (almost 2.76 million euros) have been launched. Between October 30-31, 2018, the second edition of the Energy Transition conference organized by the Romanian Association for Wind Energy was held. 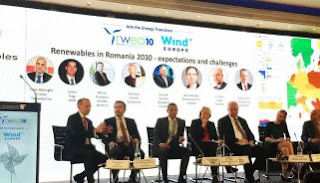 Zoltan Nagy-Bege, Vice President of ANRE, participated in the discussions on the development of the energy transition, the expectations and challenges of the renewable energy sector in the 2030s and the positioning of renewable energy as a pillar of sustainable development. Italy, Malaysia, Netherlands, Palestine, Romania, Saudi Arabia, Taiwan and United States. NFT Inc. a Silicon Valley developer of autonomous commuter transportation solutions, will present the concept of their state of the art 2 or 4-seater eVTOL (electric Vertical Landing & Takeoff) at CES 2019 Eureka Park (Booth 51701). Easily parks and charges in a garage or on-street parking, no heliport or special airstrip needed Enables people to live outside a major city and have a short, convenient door-to-door commute to work. NFT’s innovative edge is a crack team of engineers, experts in their field and problem-solvers who love challenges, who have combined experience of 20–34 years in developing world leading aircraft, drones and UAVs (Unmanned Aerial Vehicles). The company’s vision is to significantly reduce transit congestion in and out of urban areas and turn daily door-to-door commutes into an easy, stress-free experience, leading to reduced environmental impact and a higher quality of life in mega-cities. The manufacturing model for the NFT drive and fly vehicle, which bridges automotive and aviation, will enable it to be priced in the range of a family car, making autonomous commuting an affordable reality.